If you have been involved in a car accident, whiplash injuries need to be taken very seriously. Because symptoms of a whiplash injury can take weeks or months to manifest, it is easy to be fooled into thinking that you are not as injured as you really are. Too often people don’t seek treatment following a car accident because they don’t feel hurt. By far, the most common injury to the neck is a whiplash injury. Whiplash is caused by a sudden movement of the head, either backward, forward, or sideways, that results in the damage to the supporting muscles, ligaments and other connective tissues in the neck and upper back. Unfortunately, by the time more serious complications develop, some of the damage from the injury may have become permanent. 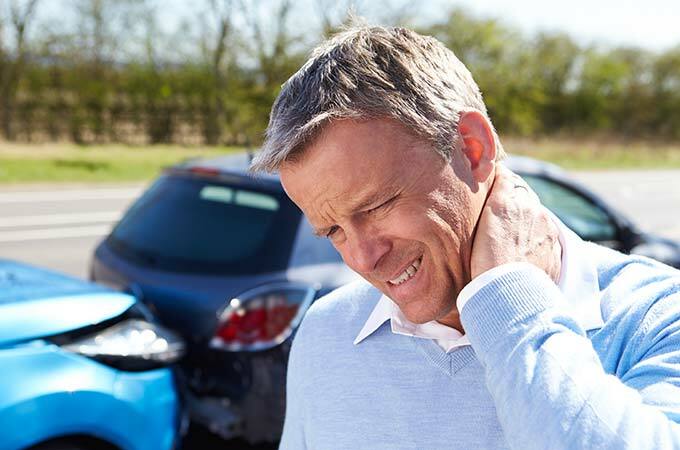 Numerous studies have shown that years after whiplash victims settle their insurance claims, roughly half of them state that they still suffer from symptoms from their injuries. If you have been in a motor vehicle or any other kind of accident, don’t assume that you escaped injury if you are not currently in pain. Should You Seek Help from a Chiropractor? In fact, if you are involved in a car accident, no matter how minor, you should always seek help from an experienced chiropractor. Seeing a chiropractor after you have been injured in a car accident is the best way to make a faster and more complete recovery. Dr. Aaron Cain at Fish Creek Chiropractic in Calgary has been treating car accident injury victims for more than 15 years and has helped numerous whiplash injury victims make full recoveries and avoid chronic and long-term health issues. When you meet with Dr. Cain after being involved in a car crash, he’ll ask you about your medical history and complete a thorough exam. Among other treatment options, he may recommend a gentle cervical spine manipulation to realign your vertebrae. This reduces nerve compression, releases tight muscles, restores your range of motion, and promotes long-lasting pain relief. If you’ve been in an auto accident, don’t put your body and health at risk. Schedule a free consultation with Dr. Cain today. The faster you seek treatment, the faster you can begin the recovery process.